Moroccanoil values your comments and concerns. Please feel free to contact us at 1-888-700-1817 or info@moroccanoil.com as we welcome your feedback. What is Beauty Circle by Moroccanoil? The Beauty Circle by Moroccanoil is a rewards program that benefits its members with points every time they shop. All members have access to free shipping, birthday points from the Rewards Boutique (where they can redeem points) and special gifts with purchase. Members can also earn points by performing certain other program actions such as writing a review, referring a friend, etc. See the next question for more details on how to earn points! $1 spent = 1 point Review a product = 2 points (with a maximum of 20 points per year) To view how many points you have accumulated, sign in to your Moroccanoil account and visit your Account Details. Yes, the points will expire after 12 months of account inactivity. Account inactivity occurs when you do not earn or redeem points. Enrollment is completely free. Create an account on Moroccanoil.com and you’ll automatically be enrolled as an Argan Insider. If you have an existing account, you’re all set to start earning points. What free gifts can I earn? We feature your favorite Moroccanoil products as free gifts and change them several times throughout the year. Are my free gifts refundable or exchangeable? No, they are not refundable or exchangeable. What are the special gifts with purchase? Will I always have access to them? All members have access to special gifts with purchases. Subscribe to our emails for updates on what special gifts you can receive! Does the code for my free gift expire? Can I earn points by buying Moroccanoil products at a salon? You can only earn points by shopping at Moroccanoil.com. I referred a friend but did not receive my reward. Why? When do I see my points adjustments? Points earned with each purchase are updated in your account once the order is shipped. Points earned using other program benefits may be reflected immediately in your account. If you have additional questions about points adjustments, please contact Customer Service at info@moroccanoil.com or 1-888-700-1817. What can I do if I have any questions about my points, status or account? Please contact Customer Service at info@moroccanoil.com or 1-888-700-1817. How do I get to the next Beauty Circle level? You are automatically enrolled as an Argan Insider. To achieve Beauty Enthusiast status, you need 150+ points. To achieve Iconic Gold status, you need 400+ points. Is Beauty Circle available to customers outside of the US? At this time, Beauty Circle is only available to customers in the United States. After your order arrives, you will receive an email asking you to rate and review the product(s) you purchased. To ensure your account is credited with Beauty Circle points (2) for each review, follow these steps: 1. Use the link in your Rate and Review email to visit Moroccanoil.com. 2. Write your review. (Reminder: Only 10 of your verified reviews will qualify for points throughout the year!) 3. Once you post your review, you will receive a confirmation requesting verification. These extra steps help us ensure that as many reviews as possible come from verified purchases—making shopping for products better for everyone! Never run out of your favorite Moroccanoil products again! Auto-delivery is provided free to you on Moroccanoil.com for select Moroccanoil products. Auto-delivery will automatically send your favorite Moroccanoil products to you at the frequency you set. Once you sign up for auto-delivery, you can track your auto-delivery order by signing into your Beauty Circle account. What items can qualify for auto-delivery? If a product qualifies for auto-delivery, you will be able to pick your frequency on the product page. For what time intervals can I set up auto-delivery? You can select your frequency anywhere from every 1 month to every 4 months. Can my auto-delivery be cancelled? Yes, you can cancel your auto-delivery order by signing into your Beauty Circle account and clicking on “My auto-delivery orders”. Please cancel 5 business days before your next auto-delivery order. If your shipping address changes, you will have to cancel the order(s) associated with that address. Please cancel 5 business days before your next auto-delivery order. Replace your order with your new address. What shipping charges are associated with auto-delivery? Auto-delivery orders ship for free. Returns and refunds are processed in accordance with Moroccanoil’s Refund & Return policy and shipping charges may apply. What if my credit card is no longer valid, or I’d like to change the card on file? If your credit card is no longer, you will have to cancel the order(s) associated that address. Please cancel 5 business days before your next auto-delivery order. Replace your order with your new address. Can I cancel only certain products from being auto-delivered? Yes, please ensure that you cancel 5 business days before your next auto-delivery order. Do I receive Beauty Circle points every time an item is auto-delivered? Yes, you will get points for every dollar spent! When will I be charged for an item that I have set up for auto-delivery? Auto-delivery orders will be charged to the payment method you provided on the day the order is shipped. This will occur within 1 to 3 business days of the order date and frequency that was selected when you signed up for the auto-delivery program. When will my Auto-Replenishment products ship? All future orders will be processed depending on the frequency you chose for your auto-replenishment schedule. For example, if you sign-up for auto-delivery on January 1st to replenish every 30 days, your next replenishment will be shipped within 1-3 business days of February 1st. Will I receive a shipping notification when my auto-delivery items are shipped? Yes, you will receive a shipping e-mail once your auto-delivery item is on its way. How do I view my future auto-delivery orders? Log into your account and click on “My auto-delivery orders” to view future auto-delivery orders. How can I change the frequency of my auto-delivery? You will need to cancel your auto-delivery and place a new order to change the frequency. Can I pause my auto-delivery order? Log into your account, and click on “My auto-delivery orders” to suspend your subscription. Free shipping is offered to Beauty Circle members on all orders. If you are not a member of Beauty Circle, Moroccanoil offers a $5.95 flat rate shipping fee or free shipping on orders of $45 or more. 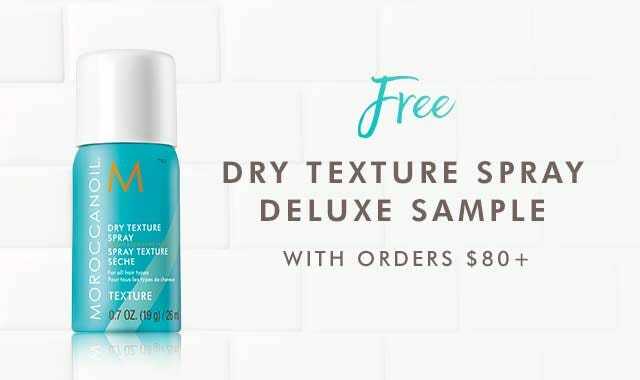 This excludes Alaska and Hawaii, to which Moroccanoil offers a $35 flat rate shipping fee. We require 1-2 business days for processing and shipping can take up to 5-10 business days. For questions, please contact Customer Service. Moroccanoil stands behind the quality of our products. We believe that we can work together with our customers to make every purchase a positive experience. In the event you are not satisfied with your purchase or have any concerns, please contact us by phone at 1-888-700-1817, or via email at info@moroccanoil.com within 30 days of receipt of product so that we can assist you.